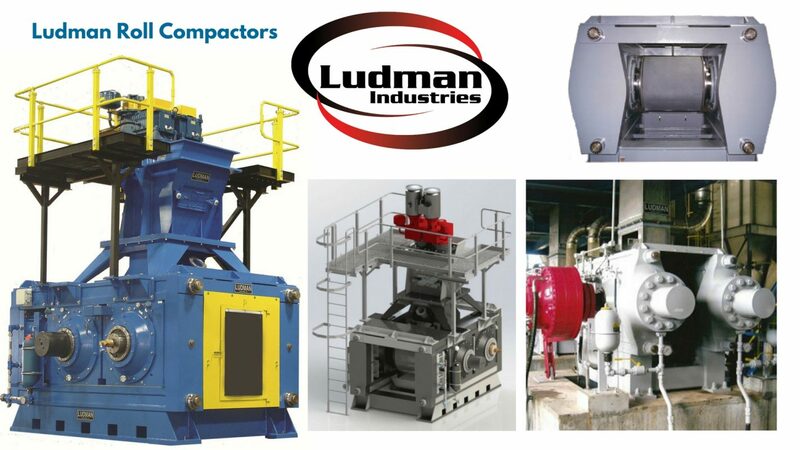 What is a Ludman Compactor? A roller style press combines torque, via roll drive system, and thrust, via cylinders in a stressed frame, to agglomerate fines. Agglomeration involves a chemical process, in which two counter-rotating rolls press granular material into larger pieces. Reduction in surface area of agglomerated material leads to better product, and thus, explains why coarser feed is most desirable. Large particles retain less surface area, resulting in less work per unit volume. What parts make up a Ludman Roll Compactor? Press forged rolls, pre-stressed robust frames, tie rods, super bolts, gearing options are all designed to benefit customer environment. Other features include inline planetary reducers, hydraulic motors and dual output gearboxes, heavy duty mining grade motors, advanced positioning electrical control systems, coordinated motion force feeders, and over one hundred years of history in the agglomeration and size reduction machines. How does a Ludman Roll Compactor work? Ludman Roll Compactors accommodate process a tremendous number of application-specific requirements. Its compactors provide unique, custom solutions for each customer, such as choosing between force or gravity feed, fine or coarse feed, hot or cold feed, and high throughput versus low throughput. Ludman Roll Compactor technology seamlessly pulls or pushes fine material into the nip zone of a dual roll press. Rolls pull material through the roll nip, and produces dense output. Assembly of smart compaction solutions scaled to the specific application requirements incorporate proven “building-block” type plant configurations. What does Ludman specialize in, when it comes to providing compaction equipment? Ludman specializes in fines management applications. Products that are separated as fines, produced as a fine grain, or contain highly friable characteristics generate plenty of dust. Ludman specializes in upgrading or converting undesirable dust fines into salable granular product, through compaction. Many fertilizer producers tussle with undesirable fines. Ludman Machines solve this issue by producing dense material that is easily shipped, distributed, and spread on farmers’ fields across the world. What are the best features of choosing Ludman Industries to provide your compactors? 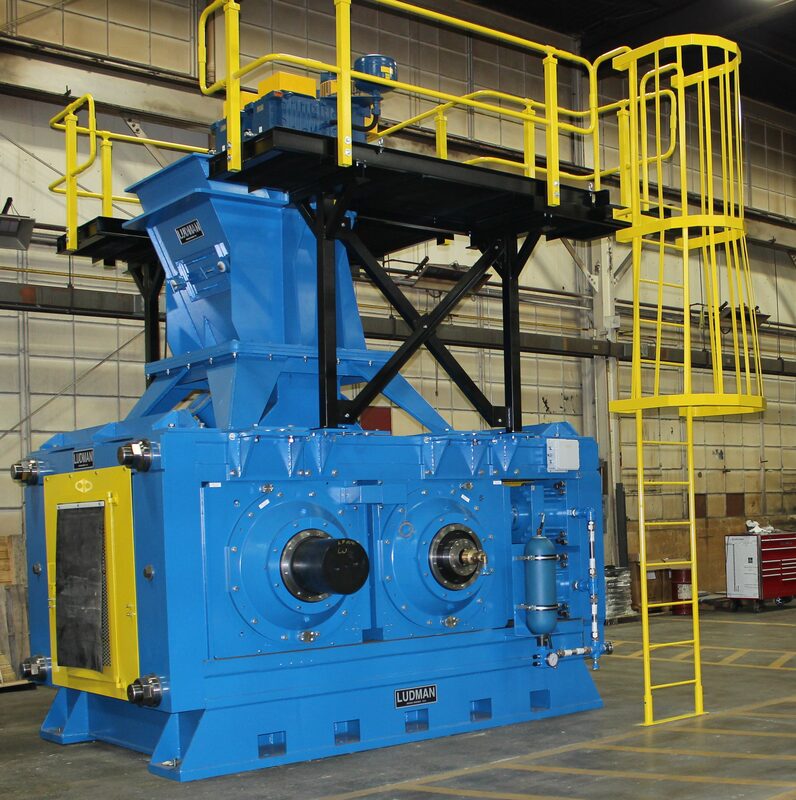 Why do companies choose Ludman Industries for their compactors? Customers frequently choose Ludman for their compactors because they appreciate the ease of use, maintenance, and support that Ludman provides. Ludman makes compaction easier for its customers.